Rajinikanth's next gangster film Kaala Karikaalan has started rolling. The makers of the upcoming Tamil film on Sunday confirmed that Bollywood actor Nana Patekar and Huma Qureshi have been roped in to play a pivotal role in the movie. Images from Getty Images and Twitter. The principal shooting of the film, which is being directed by Pa Ranjith, began in Mumbai on Sunday. Announcing the full cast in a statement, the makers revealed that Nana Patekar, apart from a bevy of supporting actors, plays an important role. It was also confirmed that actress Huma Qureshi would play the leading lady in the film. The film also stars Samuthirakani and Anjali Patil. Rajinikanth is going to play a gangster in the film again after Kabali, which was a mega box-office success. The statement added that the shooting of the film in Mumbai will go on non-stop for 40 days. Produced by Dhanush, the movie has music by Santhosh Narayanan. According to Bollywoodlife.com the main shooting will be done in Chennai, where a replica of Dharavi, a vast slum area in Mumbai, will be set up. A sum of Rs 5 crore has been spent to recreate the slum in the southern city. 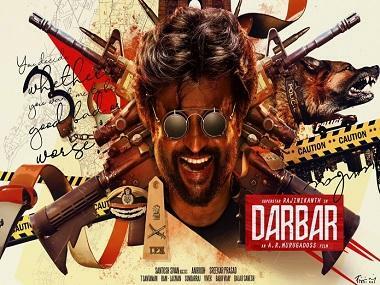 Kaala Karikaalan is Rajinikanth's 164th film. Rajinikanth is going to play a gangster in the film again after Kabali, which was a mega box-office success.